As I write this we have had a few weeks of warm weather and much of the snow in the lower half of the images here has melted and the grass has started to grow. Also as I write this a storm is blowing through bringing new snow to higher elevations. It can try but it wont last! Spring and fall are great times if you love weather. I was really tired of the clear and cold weather of January and February. 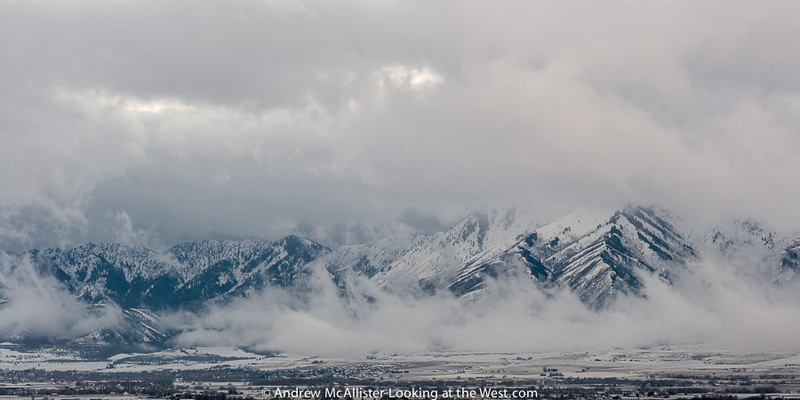 The seasonal weather patterns mixed with the geography of Northern Utah make for visually spectacular scenery. The images above and below from the same morning a few weeks back (March 2013). 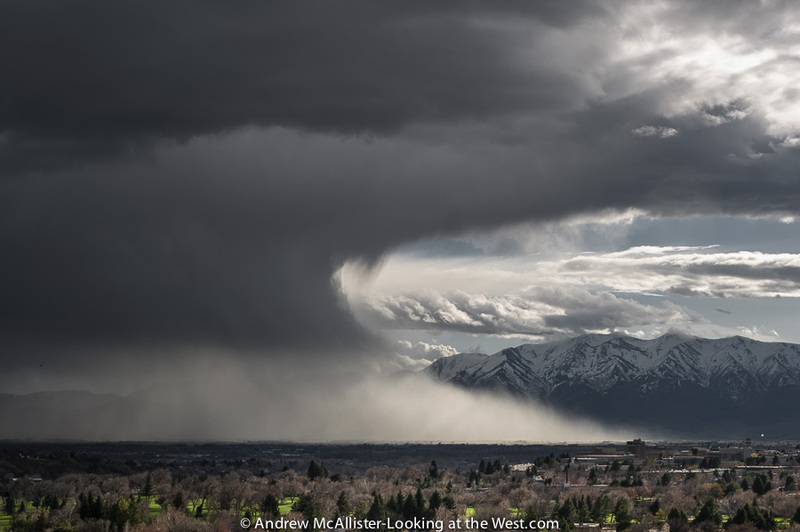 Below: Storm clearing in Cache Vally April 2013. Described by my friend Woody as looking like a “title wave from hell”. I have seen many cool weather systems move across the valley and by the time you get the camera set up it’s usually not as cool as when I first saw it. This one was different and I rushed to capture it. As I took a dozen images over a few minutes it lost it’s shape and became a less than spectacular blob. This was the second or third frame. This weather was the beginning of what we are going through now in Northern Utah. This storm system has been good to me both with this image and with some images I made the next day when I revisited Downey Idaho. Top two images captured with the Zeiss 100mm Makro-Planar and the image above with the Nikon 45mm PC-E. Your set of pictures here are so breathtaking! Amazing works! I love these images! Simply outstanding! Nice work as always. Love that last photo especially. I can feel the storm a comin’! Thanks for all the kind words and taking time to follow my blog. I have to agree that the last one is awesome!!! Well I can only repeat others – your last photo is outstanding – a fantastic image of these amazing clouds. 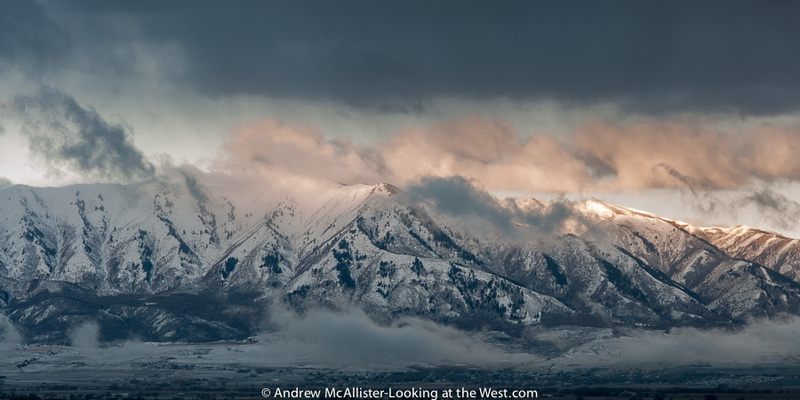 Stunning images…the mountains are always amazing in the west!! It’s look like Tatras, wonderful photos!